PHILADELPHIA (WPVI) -- Philadelphia Police say the man arrested for the stabbings of two members of Nicki Minaj's tour crew will now be charged with murder. 31-year-old Pierce Boykin was taken back into custody Tuesday afternoon, after posting bail on an attempted murder charge last week. 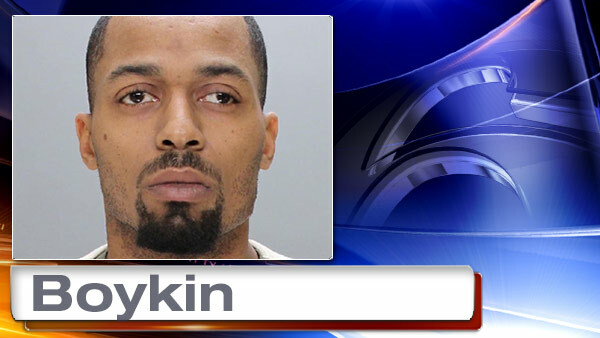 Boykin allegedly stabbed 29-year-old De'Von Pickett and 27-year-old Eric Parker outside an East Mount Airy bar. "Both of the parties both knew a female who worked at the bar, and the arguments centered around her," explained Philadelphia Police Captain James Clark. Pickett died while Parker was critically injured.